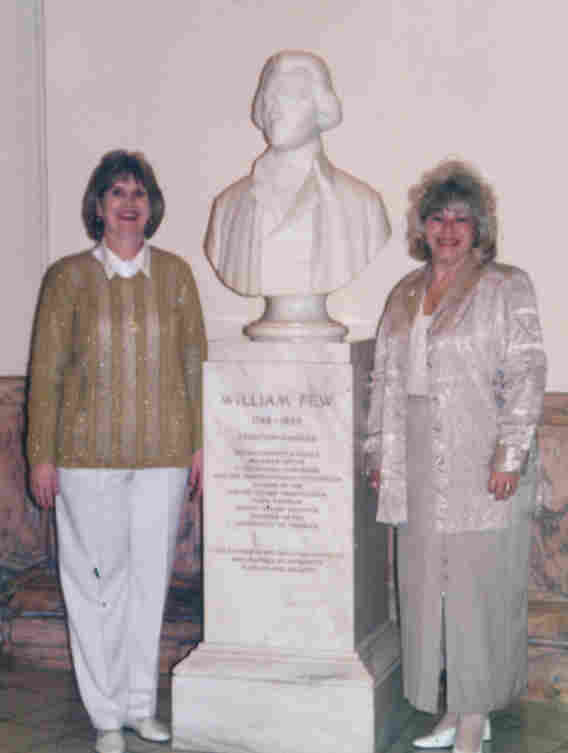 with bust of Colonel William Few. The Colonel William Few Chapter NSDAR is eager to answer your questions and help you along the path to becoming a member of the Daughters of the American Revolution. Few adventures in your life will be more rewarding than joining a society that promotes "God, Home, and Country." The objectives of the Colonel William Few Chapter NSDAR are to promote historic preservation along with encouraging active participation in educational and patriotic endeavors. Send us an EMAIL today...we are waiting to answer your questions!